You knew the day was coming and you were excited about it the whole week – the new Disney movie is out and daddy promised to take you. He got you diapered, dressed in your favorite overalls with a cartoon shirt underneath, and although others might not think of you as a little boy to look at you, you sure feel like one! Going out with daddy always fills you with a mixture of excitement and a bit of fear. Strange people, different places, and not being sure whether it’s OK to just be yourself. But you’ve been jumping with excitement all week, and no matter what little anxieties you might have, you can’t wait for the big adventure. But before you head out the door, daddy heads to your nursery and returns with a diaper bag slung over his shoulder. To others, it might just look like a practical carrying bag, but the cartoon character on the side definitely tells you that daddy has all the things that a little boy will need. As a daddy to an adult baby or ‘little boy’, it’s important to realize the many ways in which you can demonstrate your acceptance and care for who he is. While the world might see an ‘adult’, you’re taking care of a little boy – and you need to remind him that no matter what the circumstance you’re there to care for him and create a circle of trust and safety. There’s something special in the bond between a daddy and adult baby – some of it is in the subtle ways in which you communicate that connection to each other. Bright shoes with velcro straps, a diaper bag with a subtle pattern, or the crinkle and bulge of his diaper under his pants are all things that you know affirm his identity but which won’t necessarily be signals that others pick up on. While you should always be proud of your little guy, sometimes it’s the subtle signals that others don’t notice that create your special connection. The little quick pat on his diapered bum as you wait in line for tickets at the movie, the way you adjust the straps on his overalls, or how you tousle his hair a little or wipe a piece of popcorn from his cheek are small gestures that go a long way to making him feel happy, safe and secure. Being prepared is another way – having a diaper bag with you sends a signal to your little guy that daddy is ready for the demands of a baby boy. But different boys will need different things. 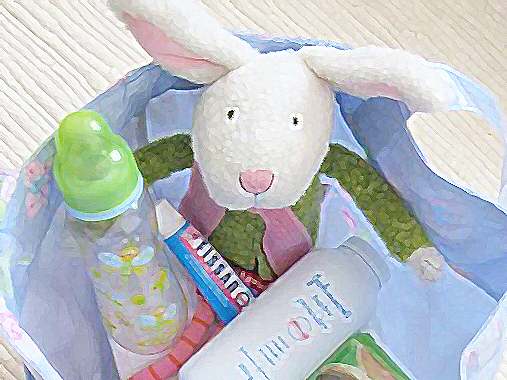 There are a few essentials of course, but what you put in his diaper bag will depend on him. You’ll need diapers of course – just because he’s out of the house doesn’t mean his diapers will stay dry or clean! Ideally, of course, your boy wears his diapers 24/7 – he needs them afterall! Powder, lotions, some good wipes (baby wipes are great, but Tena also makes a super-sized wipe for adults that’s awesome), and a few diapers are must-haves. Little boys will need more distractions while the baby boy in your life might need things that are more comforting. A blanky, favorite stuffed animal and paci can all be soothing in strange situations. But what would YOU want daddy to make sure he put in your diaper bag? Well if daddy and I go to the movies (and yes I finally found a daddy!!!) a big must have is my nuk and my favorite plushy. I may be too intimidated to take out my plushy but I can easily sport my nuk in the dark theatre with ease. Hi well I specially like to be daddys little boy and his baby boy, well both. If I wehre with my daddy(Hope to one day meet him and be with him)(I Have a Daddy)I would like him to carry: a bottle, a paci, my plushi for when going back home if I fell asleep, a blankie if I get cold, diapers(ofcourse). Those thing I would like to my daddy to carry if we where going out. But when is time to change I prefer to Daddy change me in his car I dont want no one to see my diaper change. Great hope you writte more interesting and excellent tips for daddys and their babys. Great. 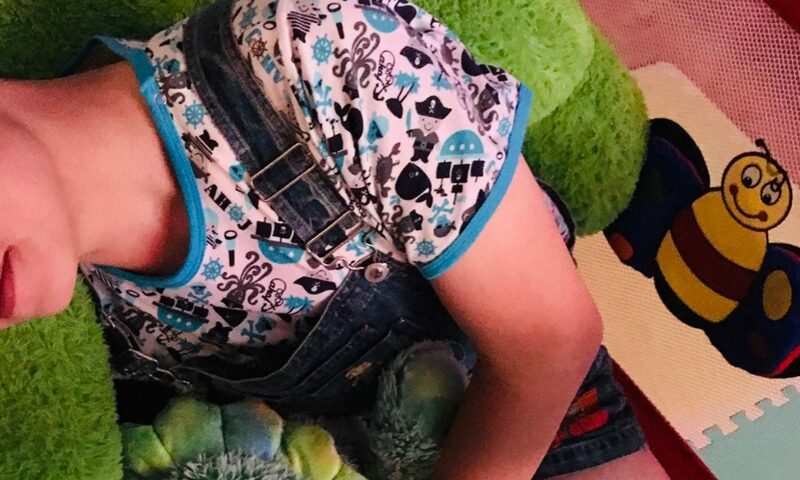 this article shows that daddy really knows that sometimes when an adult baby is out with his daddy it really is so important for daddy to find ways to remind the baby boy he doesn’t have to pretend with daddy…he can just be himself. its always kinda fun when i see my binky or bear close by if i need them. My Diaper bag is also my Back Pack but with a section built in for Wipes. I also keep a small tube of desitin in mine for changes if I need them as well as baby lotion. Don’t keep plushies because I am afraid I will lose them. Also I will keep my binkie in my back pack if going on a trip somewhere and of course about 4-5 diapers and a smaller diaper changing pad for trips. Plastic pants to keep my clothes and the seat dry! ;( dis mak me wealy sad me dont eavn ave dipee bag me mum (who apen 2 be me real mum) wont let me wer me dipees durin da day or in public she only let me wer at nit in da evnin an erly mornin wen it still dark. she wont evin change me me mum meany she only tolirate it she dont accept it. I waited till I found the perfect one. I love it so much. The Daddy I choose will have lots of space to fill it with exciting things! 2. norman. he goes everywhere with me. 5.I dont like sippys or bottles so I get the Capri Sonne fruit juice packs. Nice post you have her. I think of packing a diaper bag like packing an overnight bag. I like the paci, bottle (if in the mood…sometimes I am older boy in diapers for punishment), diapers, plastic pants (few different ones depending on motive), change of clothes if I leak, powder, ointment, snacks, toy and camera is a must to capture the moments! Now to find that Daddy to carry the bag!!! Just realized I don’t have a diaper bag. 🙁 Well I guess I’m going to have to find one. If i had a daddy and we were going to the movies it would depend on the time of day, if it was in the afternoon and was gonna or is dark by the time we leave then would pack the nesecitys and a paci, blanket and a teddy (A teddy that i wanna take with me) for when i fall asleep on the way back. Or if was still light out then id bring the necesitys an a teddy to keep me company since we all know we cant drive daddy crazy on the way back. 🙂 i almost forgot can never go wrong with some goodies for the movie. I’m not an AB, I’m more of a daddy type. Bamm Bamm mentioned the one thing I thought you should add to the list, a change of clothes in case of leaks. Well first of, hiya guys! It was nice to see that I’m not the only girl who visits the site. Personally, I have a hot pink shoulder bag with sequins and all the girly stuff on it. When we go out I usually pack bout 3-4 diapers depending what brand bambino vs cushies, wipes, powder, and once I move in with daddy I will be keeping a change of clothes and a blanket in daddy’s car. Next PostNext Adult Baby Plushies: Your Photos!